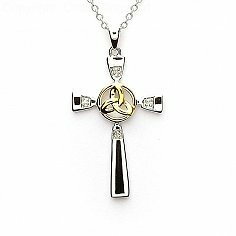 Duality rules this dainty classic charm. 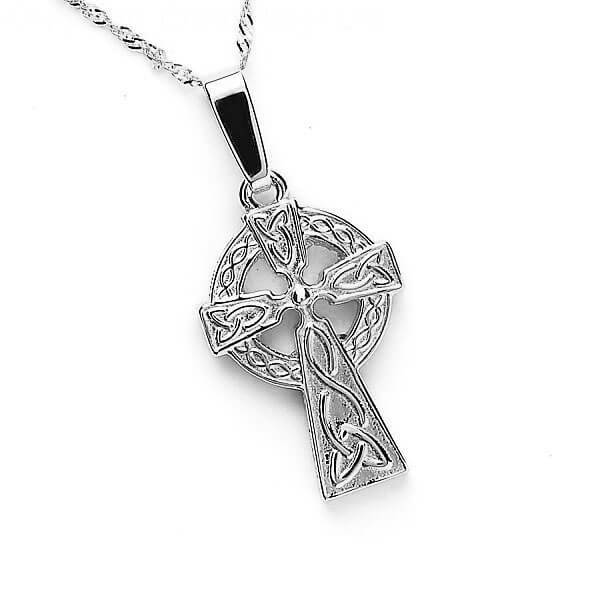 Classic and traditional, yet modern and trendy, the Celtic cross has Trinity knots elegantly engraved within each arm. An aft set circle with infinite spiraling weave that catches the eye on both sides of this pendant! The stunning design is as clear and seamless on the backside, so when it flips over it is just as beautiful. Something to consider when wearing it a bit more dangled, or when living an active lifestyle. 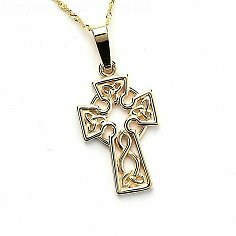 Available in silver, 10k & 14k yellow gold.